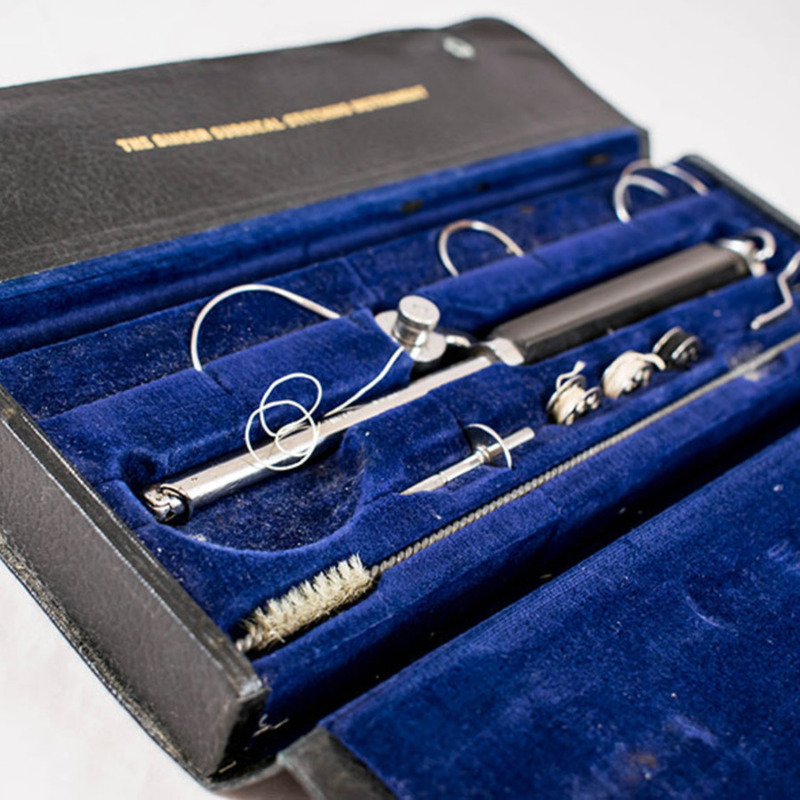 Leather case with velvet lining containing a stitching instrument handle with cotton reel attachment, 4 needles, a cleaner and 3 cotton reels. Presented in original card box. 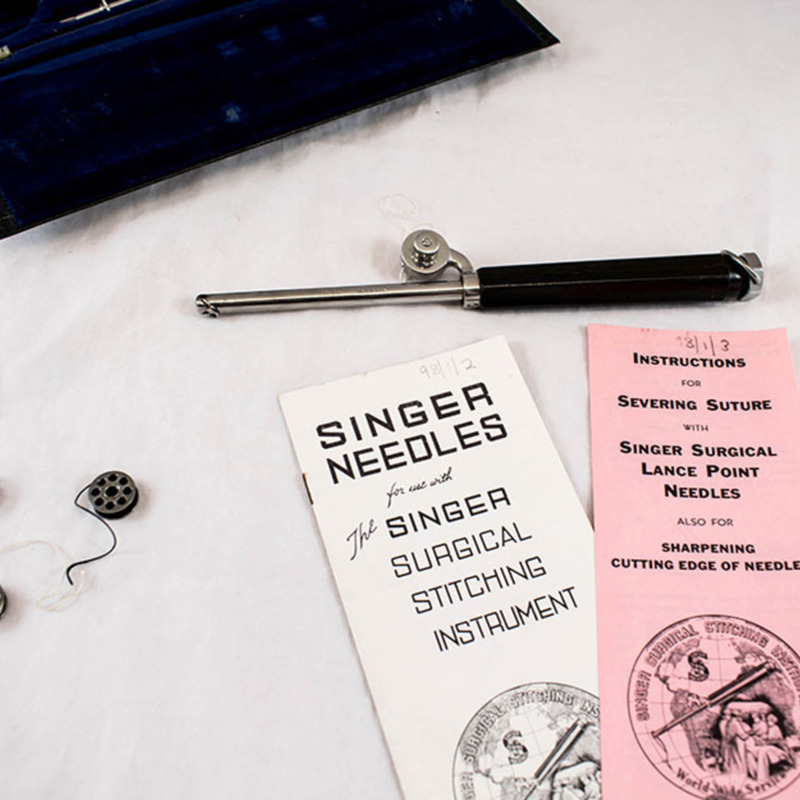 Although the Singer Corporation is mainly known for their production of sewing machines, there was a period when they provided surgical equipment for suturing. 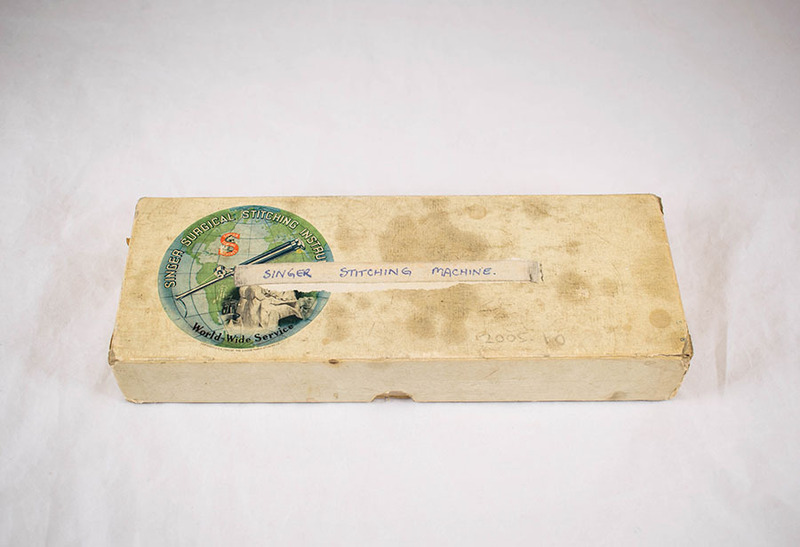 Singer Corporation; 1851-; Sewing machine manufacturer, “Singer Stitching Instrument,” Heritage, accessed April 25, 2019, https://heritage.rcpsg.ac.uk/items/show/104. 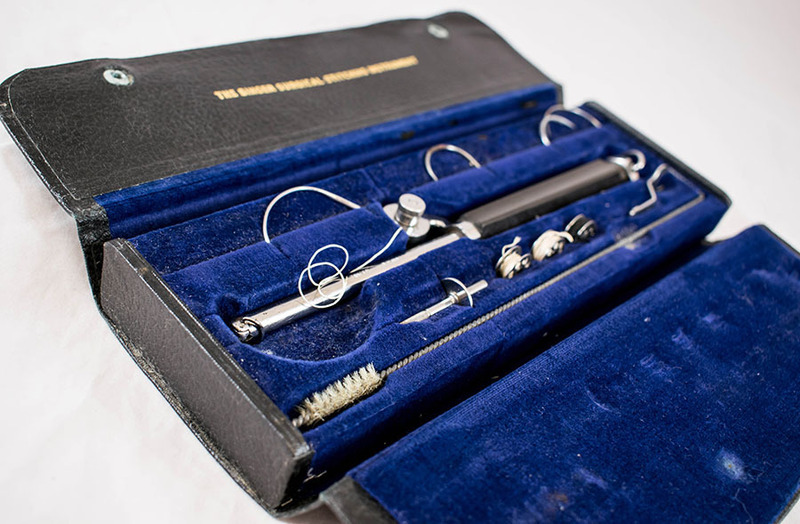 Description: Leather case with velvet lining containing a stitching instrument handle with cotton reel attachment, 4 needles, a cleaner and 3 cotton reels. 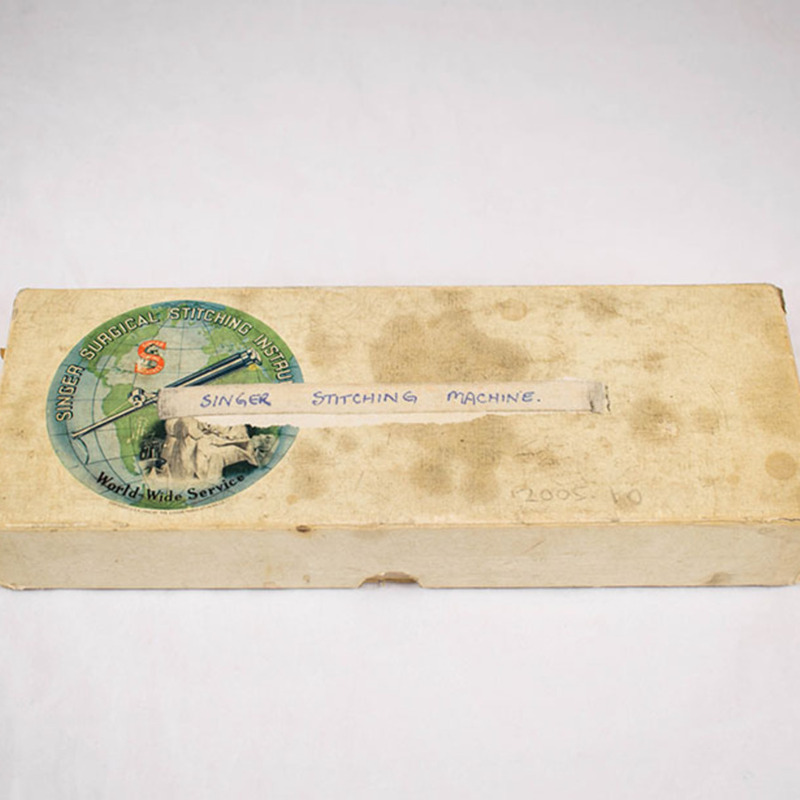 Presented in original card box. 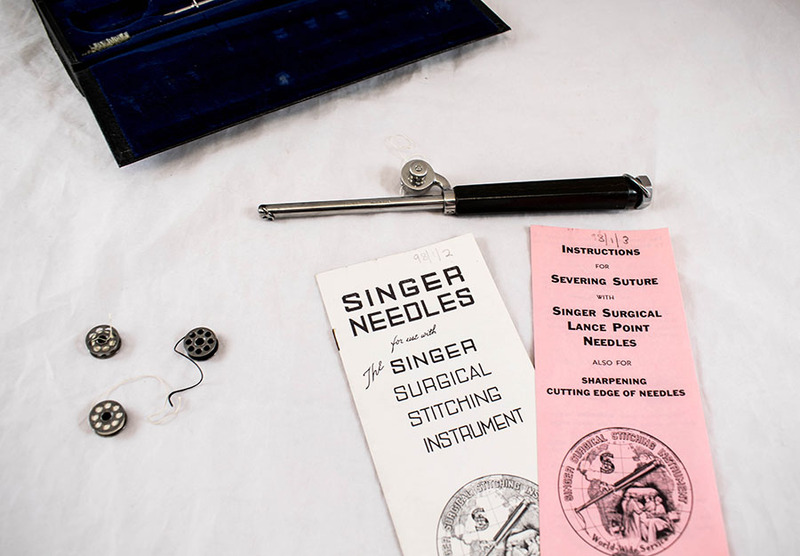 Although the Singer Corporation is mainly known for their production of sewing machines, there was a period when they provided surgical equipment for suturing.